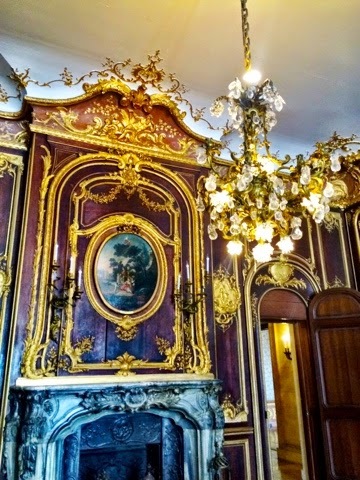 Sometimes I have to remind myself that it’s extraordinary to work at a university campus where the administrative buildings are Gilded Age mansions. Ochre Court is the main administrative building at Salve Regina University. Built in 1892, the mansion was commissioned by Ogden Goelet and designed by Richard Morris Hunt, the same architect also responsible for The Breakers, Belcourt Castle, and Marble House. 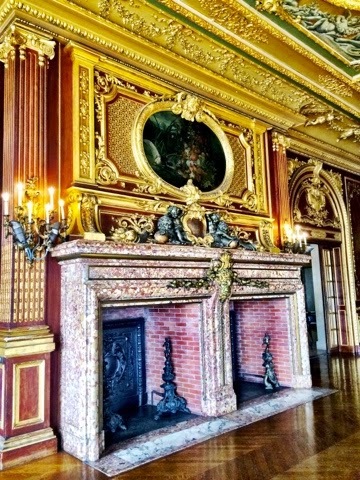 In 1947, the Goelet family gave Ochre Court to the Sisters of Mercy to start Salve Regina. 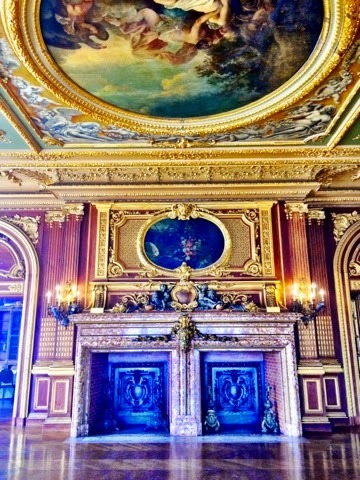 When I was in Ochre Court the other day, I passed by the breakfast room heading to the parking lot. I don’t know if it was because of the way to light danced across the floor or if it was because of how golden the ceiling looked, but I had to stop and take a few pictures. 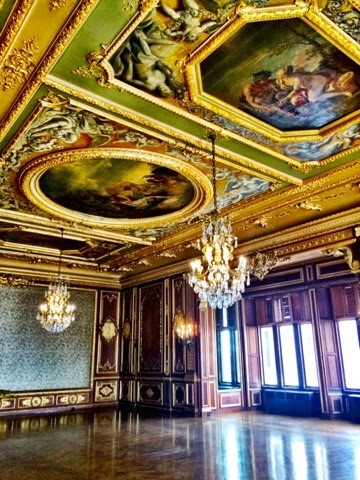 As an alumna, I’ve sat, socialized, networked and presented this beautiful room for years. Now, as a university staff member, I’ve found a new appreciation for living and working in Newport–there’s nothing else like it.